This scholarship of up to US$5,000 is being offered to Caribbean nationals currently employed in national tourism organisations seeking to enhance their skills in tourism research or statistics. Applicants must provide a letter of employment stating the applicant’s job title and current duties and responsibilities; endorsement of the programme the applicant wishes to pursue and details of financial support the employer is willing to provide should the scholarship be insufficient to cover all additional costs associated with the course of study. 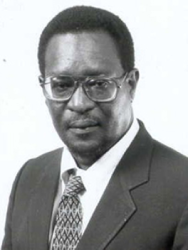 Mr. Arley Sobers was the director of information management and research and acting secretary general at the CTO when he passed away suddenly in 2008. Mr. Sobers dedicated over two decades of his working life in the service of the Caribbean Tourism Organization. He was very determined to ensure that tourism statistical information and research disseminated with respect to the Caribbean was accurate, reliable and properly validated, thus reflecting the very high standards which he demanded of himself and of those who worked with him. He was of high intellect, analytical, and very fair in his deliberations with all. From very early on in his career he clearly recognised tourism’s importance to the economies of the Caribbean, and while Mr. Sobers worked primarily in the area of research and statistics, his overall influence and contribution to Caribbean tourism was wide reaching. A scholarship of up to US$5,000 is offered in the name of the late Mrs. Audrey Palmer Hawks who was the past director general of the Caribbean Tourism Association (CTA) based in New York, which eventually merged in 1989 with the Caribbean Tourism Research and Development Centre based in Barbados, to form the Caribbean Tourism Organization. Audrey Palmer Hawks was born in Guyana and grew up in Grenada. She graduated from Cornell University and entered public service in Grenada where she became a senator and then minister of state for tourism. She moved to New York as the public relations director of the CTA and became executive director. For nine years she was director general of CTA, the first woman and the first Caribbean national to head the organisation. As director general, Audrey promoted the Caribbean not only in the U.S. but worldwide. She was instrumental in developing a half-time Caribbean show at an early Super Bowl and in setting up the award-winning Caribbean Village at ITB. She died at the age of 44 in 1987. The Audrey Palmer Hawks Memorial Scholarship is being offered to Caribbean nationals currently employed in the Caribbean tourism industry seeking to enhance their skills in public relations and/or communications. 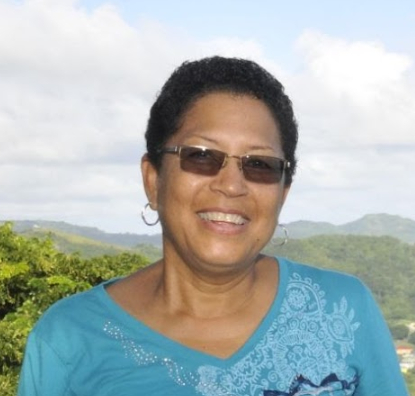 A scholarship of up to US$5,000 is offered in the name of the late Mrs. Bonita Morgan, former Director of Resource Mobilization and Development at the Caribbean Tourism Organization, where she worked from April 1996 until her untimely passing in 2018. Mrs. Morgan had a great passion for the development of Caribbean youth and world class service, and she dedicated the best part of her working life to helping release the potential of Caribbean people through education, training and professional development. She introduced many impactful projects and programmes during her tenure at the CTO, including the development of harmonized curricula for the associate degree tourism/hospitality programme across the region, tourism education materials for primary and secondary schools, showcasing careers in tourism through a variety of media, organising an annual tourism youth congress and biennial tourism human resources conference, and being the driving force behind the CTO Foundation. This Bonita Morgan Memorial Scholarship is being offered to Caribbean nationals currently employed by a national tourism organisation seeking to enhance their skills in tourism education or human resources development. This scholarship of up to US$5,000 is being offered in the name of Zelman Style Interiors by Jule Guaglardi Zelman and Steven Zelman. The scholarship is offered to Caribbean nationals wishing to study hotel, resort, or villa rental – building, development, design and/or planning. Jule Guaglardi Zelman has dedicated more than 25 years working with various Caribbean destinations and businesses to promote Caribbean tourism and prosperity through her efforts in marketing, public relations, print editorial, event production, and interior design. While Jule’s career has her entrenched in luxury residential and commercial hospitality design, she continues to carve out work time to promote the Caribbean region through a number of marketing related outlets and fundraisers. Zelman Style Interiors is an international boutique firm with 11 top designers under the lead direction of Steven Zelman and Jule Guaglardi Zelman. With a long list of deeply satisfied affluent, and often celebrity clientele, Zelman Style Interiors define luxury, beauty, functionality, award winning spaces, and architectural details to the high-end consumer. Transparent, talented, honest, attentive, efficient, warm, and extremely capable, Zelman is winning the hearts of clients both nationally and internationally one exceptional design experience at a time. 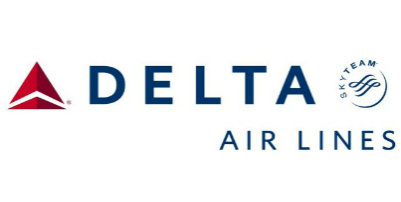 This scholarship of up to US$5,000 is being offered to Caribbean nationals interested in pursuing studies in aviation or air transport technologies. This scholarship of up to US$5,000 is being offered to Caribbean nationals interested in pursuing studies in tourism management or marketing. This scholarship is being offered to Caribbean nationals pursuing studies at a master’s degree level in any tourism-related* discipline that will enhance the tourism industry in the Caribbean. The scholarship amount is no less than US$5,000. *Tourism related disciplines include, but are not limited to, language, agriculture, fisheries, horticulture, event management, interior design, medical tourism, architecture, sports, culture and heritage, environmental protection and preservation, etc. These grants are being offered to Caribbean nationals seeking financial assistance to enhance their skills in any tourism-related field of study that will enhance the development of a sustainable tourism industry and boost service excellence in the region. Grant amounts do not exceed US$2,500.